There have been a few triggers that have made me think (often enviously!) that there must be something so nice about building anew. Like no worries about maintenance, about things falling apart or needing repair or replacement just because they’re old. Or not having to deal with the constraints or size of an existing home, or renovating and discovering unpleasant hidden surprises from pulling a wall down. 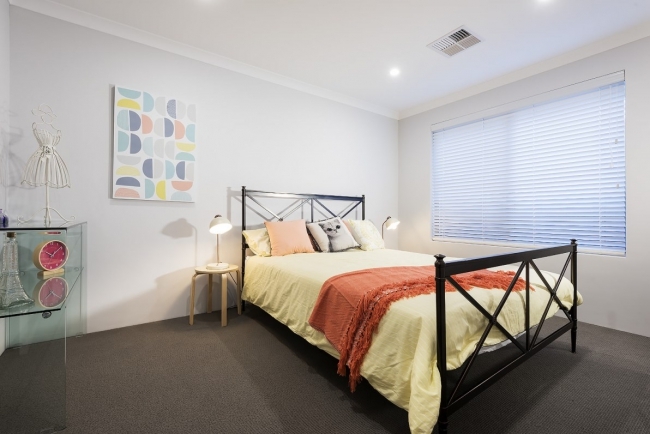 One of the houses that’s really made me daydream about building anew has been this inner-city Perth one I just featured... there’s something romantic about finding the perfect block in your dream location and creating a home from nothing. Or finding a beautiful block out of the city and building a home on it. Creating something from nothing – that’s cool. Obviously, I’m not the only one who thinks about the possibility of building. Since I started House Nerd, I’ve had so many emails and messages over the years from house nerds asking me how do you know if you should build or buy an existing house? And the truth is, I don’t know! I’m no expert. I’ve not built before either. And I always feel bad not being able to help people, to give them the advice they seek. 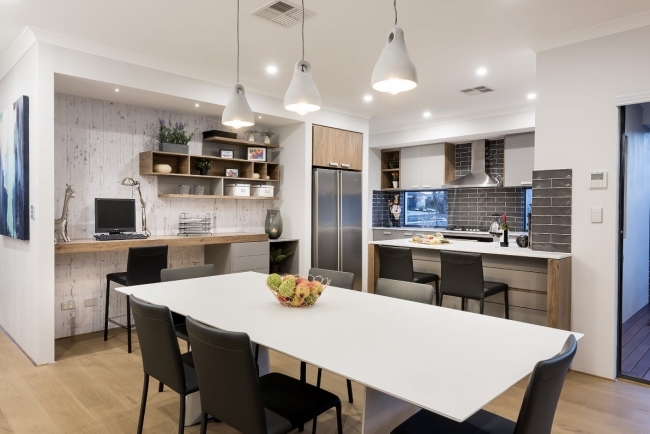 So when award-winning Perth builder Vision One Homes reached out to ask if I'd like to do a story with them, what instantly came to my mind was, "Yes! We should do something giving advice for people who aren't sure if they should build or buy." So I’ve interviewed them about just that. A little background on them first - the Vision One Homes team is a smaller family business, part of the highly awarded and regarded Novus Homes Group. Managing director Lino Antonelli, who founded the business in 1993 (and is one of those Italian builds who builds every home to last - no cheapie shortcuts or quick fixes here!) tells me they pride themselves on offering fantastic customer service and on their beautiful two-storey homes range (they also build single-storey homes). 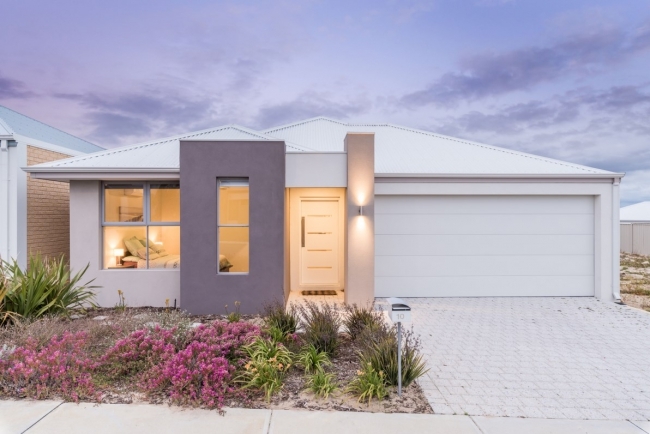 With years of experience dealing with people struggling to make up their mind as to whether they should build or buy an existing home, here is their advice – courtesy of their building expert and Vision One Homes sales and marketing manager Damian Will. 1. If you’re on the fence on whether to build or buy an existing home, the best idea is to draw up a pro-con list. Every time I think of "pro-con list" I think of Rory in Gilmore Girls, always getting mercilessly mocked by Lorelai for writing out lists to help her make important life decisions. But Rory got into Yale, Harvard and Princeton for a reason; she is a clever cookie! Writing out an honest pro-con list will help you to really examine and define your motives. 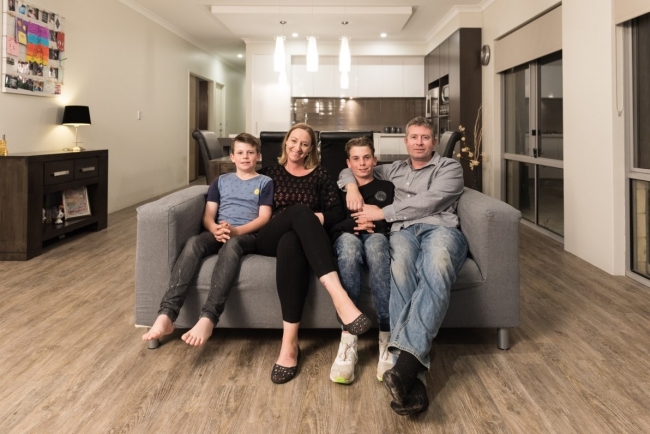 Husband-and-wife Richard and Renee Brewell wanted a new family home for themselves and their two boys, Liam, 13, and Ashton, 9. 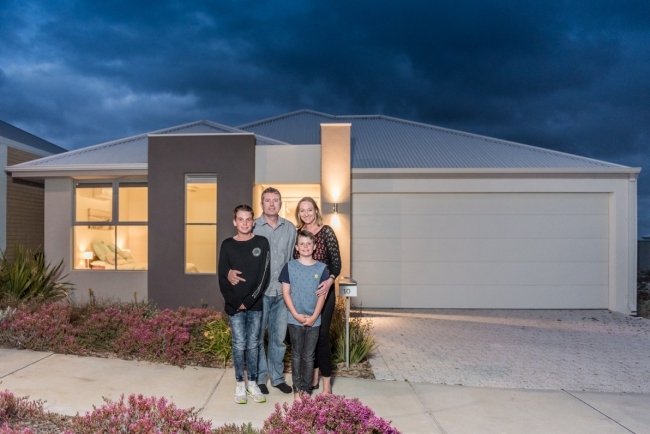 They asked Vision One Homes to build them a home in the beachside estate of Shoalhaven, Alkimos - and absolutely love their new home. 2. It is rare to find any build that has gone perfectly smoothly. You don’t need to be a seasoned, cynical viewer of Grand Designs (such as I) to know that building a house rarely goes 100 percent smoothly all of the time. 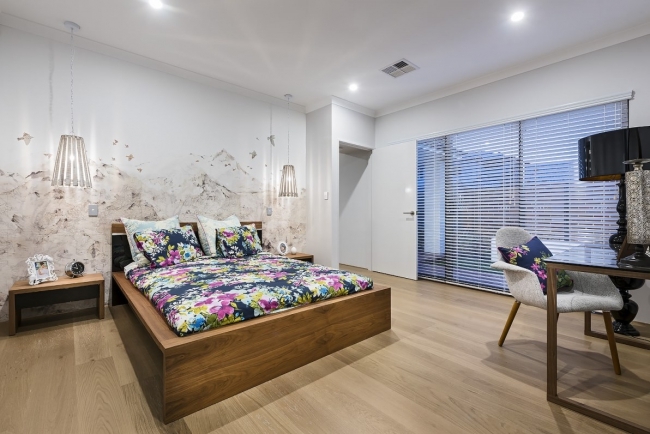 Even much simpler, smaller houses than the ones featured on building and renovating TV shows rarely get built without some sort of hiccup – and that is one common thread I have found in almost ALL of the new houses I have written about over the years. So go into building being prepared for a few bumps in the road, advises Damian. “Choose your builder based on reputation and you will be pleasantly surprised at how issues are handled during construction and that they genuinely have your best interests at heart,” he says. 3. Not all builders will suit everyone - you need to choose one that is the right fit for you. Look at reputation and awards. “Do your research, ask around, look online, and also see if they win awards on a regular basis from the HIA and MBA,” says Damian. On the topic of service, consider how they have worked with you so far. How helpful has the staff been when you’ve contacted the office? How has the sales experience been? “Have they listened to your needs as to what you are looking for in a new home?” says Damian. “And have they researched all of the associated costs with building such as site works, retaining, coastal and bushfire requirements etc.” If a builder seems disinterested in you or your project plans from the beginning, it’s a red flag. On top of that, biggest isn’t always best, especially when it comes to building companies whose size means they literally have hundreds of homes on the go at any one time, says Damian. You may prefer a smaller company and its approach. “At Vision One we’re small enough to know every one of our clients by name and every single thing about how their job is progressing,” says Damian. 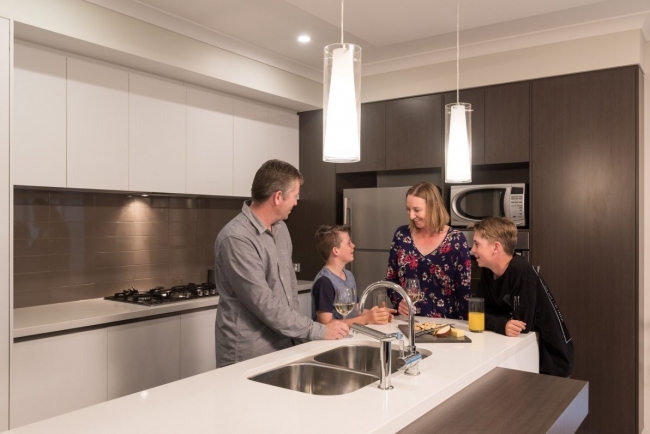 I have written so many stories for The West on a lot of new-builds by smaller or boutique building companies where I can see, just from doing my walkthrough, that the home owners have genuinely become friends with their builders and tradies. It’s always really nice to see. 4. Never choose a building company merely based on a cheap quote. 5. You don’t have to have a block of land secured before finding a builder. I find a lot of people assume they need to have their perfect home site locked in before they start the search for a builder. Obviously this can definitely help, but is not essential, says Damian. “One of the benefits of already having a block of land is that you can finalise your design specifically for your block. However many builders offer house and land packages, so it is not essential.” Good builders will also often know of available land that you may never come across. 6. 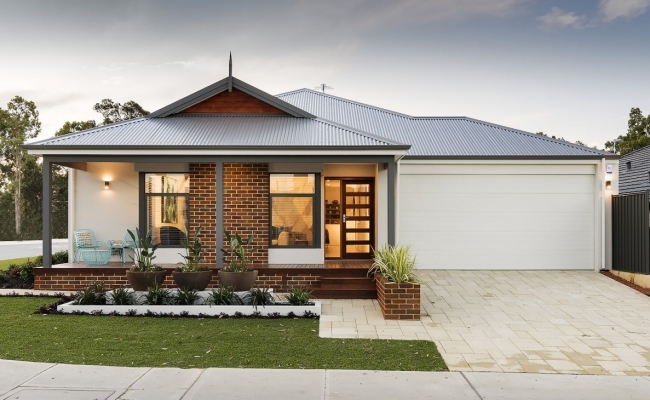 A good builder should be able to help you choose between buying a project home or display home, help you tweak an existing design or create a new one (or steer you in the right direction completely if you want to go truly bespoke). With aforementioned TV shows like Grand Designs, many people dream of designing their dream home with an architect. But dream homes often come with dream budgets – and the architect-designed home option is not always a possibility (or necessarily desired) by everyone. 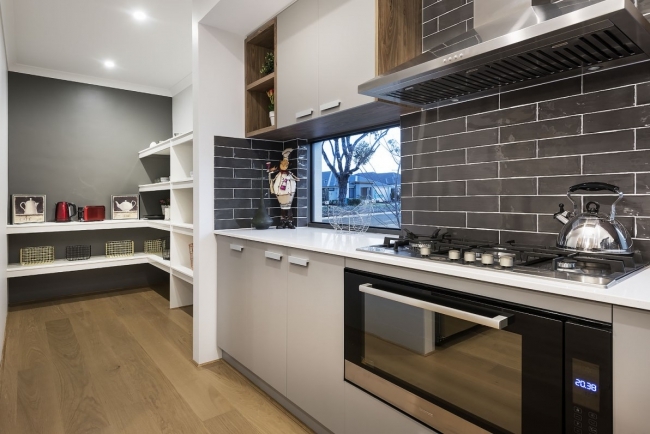 I always think of that saying, “You don’t ask, you don’t get!” So whether your must-have is a specialised space for your boat, turning that media room into a fourth bedroom, or encompassing your dream pantry in your kitchen, you’ll never know what your builder can do for you unless you ask. 7. 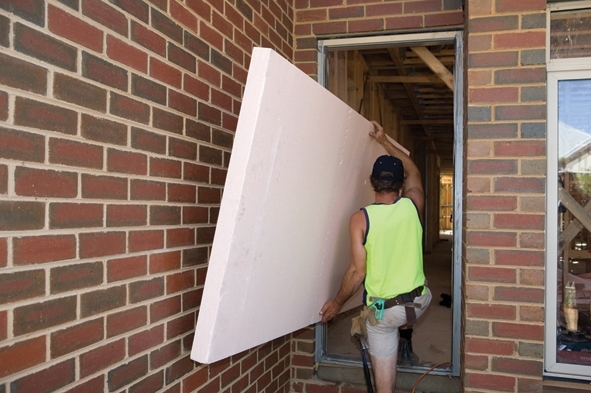 Ask your builder about their construction methods and consider that this can affect your build time. With lightweight construction methods, construction takes place on-site allowing design flexibility and the use of local trades and materials ensuring perfect precision, rather than being prefabricated in a workshop and craned in later. (They have A Beginner's Guide to Lightweight Upper Floor Construction pamphlet available for download on their site). Different build methods affect build times, too - timber-framed construction tends to be substantially faster to put up than brick, and as the walls have a slimmer profile, can also save you valuable square meterage on a smaller block. Vision One Homes have a good article on their site about how long you can expect a new build in Perth to take here. 8. 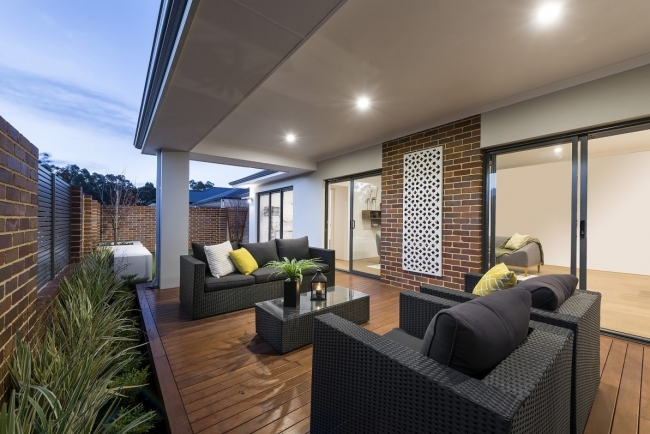 Do the display home weekends. 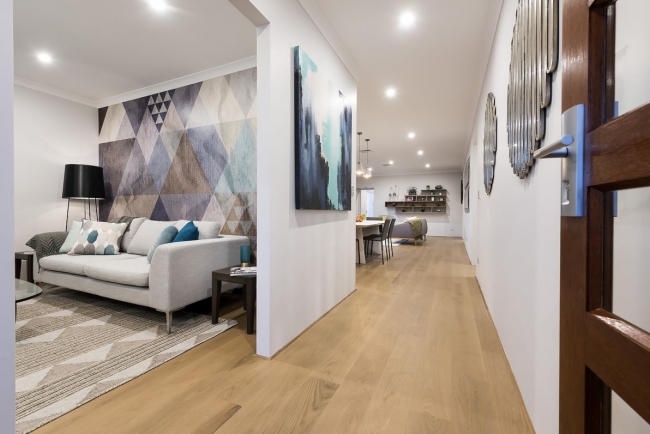 Damian adds that another little tip when display home visiting is to think about how you are going to furnish your rooms and make sure the dimensions will work with what furniture you already have and what you plan to buy. 9. Ask how many houses your supervisor oversees at a time. 10. Ask the building companies you’re considering if you can see referrals and testimonials. So important is asking to see proof of happy past clients and you should definitely ask, advises Damian. “Most builders will have copies of feedback forms from clients, so ask to have a look through those,” he says. Thank you to Vision One Homes for supporting this story! You can visit their website here or follow them on Facebook here. All photos of Vision One Homes in this post by Joel Barbittas of D-Max Photography. This is probably the BEST article I've ever read on building a home! I'm in the U.S. and built a home in 2005. My experience was that I'd been looking at new homes on display around my city and fell in love with one in particular. The only problem was I hated its location. My realtor suggested I contact the builder to see if he'd build it on a lot in my preferred location. He said yes, I bought an undeveloped lot in an established neighborhood with lovely mature trees, and he commenced building. We did make some changes to his original floorplan. I chose everything in the house, down to the door hinges. I'd first pull maybe 2 or 3 samples for my husband to view (any of which worked for me!) and then he could have his say. He was happy not to have to look at every. single. choice. out. there. Really the only problem encountered was there was miscommunication on which tile was to go in the kitchen vs the master bathroom. I was onsite nearly every single day and luckily was able to stop the tile installer after noticing he'd used the wrong tile on one wall in the shower. The builder made it right and all was fixed to my satisfaction. I'm no longer in this house since moving to a different city but I sure do miss it! I loved being able to have so much say in what went into my home. Next I'd like to design one from scratch with an architect... That will have to wait until I win the lottery though. This content is very well written. The use of formatting while making your points makes your observations very clear and clean to recognize. 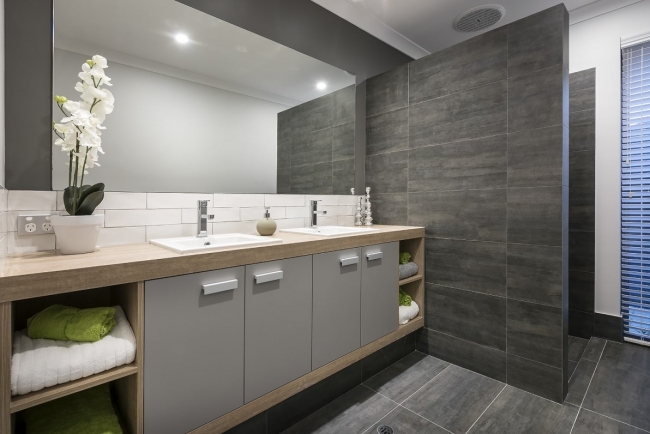 It's simple but hopes the legislator has denied the dancing benchtops that led to a brilliant new bathroom. No, it serves to create a system and then ask questions. The negative effect of this time on building different buildings is that you can save a small block of square meters due to the construction of wooden bricks and thin Gerland walls. Great information thank you for updating this details. Wow! This is the creative blog of evolution and very likeable to my kids. This has been one of the greatest posts to read here which has been working purely for me hope to read more important details which could be a great stuff to read here. I want to know more details like these which is an important post to read here.